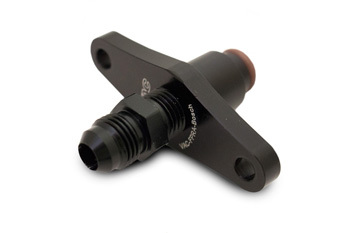 The VAC Motorsports Fuel Pressure Regulator Adaptor fitting is the simplest and quickest way to fit an aftermarket FPR of your choosing in place of your OE Bosch unit. We also offer this in a kit below, along with the proven, high quality Aeromotive FPR. Crucial for forced induction or highly tuned vehicles.